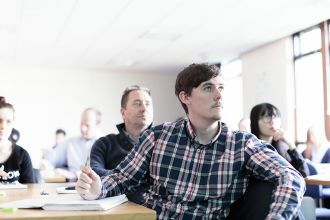 Ulster University Business School is one of a few business schools in the UK and Ireland to offer direct use of data, analytics and information, to the Bloomberg Professional service through its CME Group Foundation Financial Innovation Laboratory. 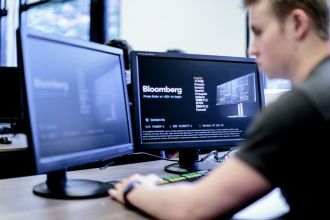 Through use of the Bloomberg software, this Lab incorporates 16 Bloomberg terminals that provide students and visitors with hands-on experience of a dynamic trading environment comparable to an investment bank. 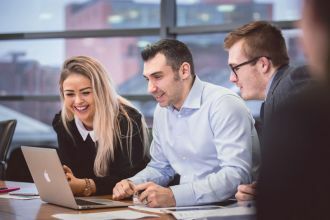 The CME Group Foundation Financial Innovation Laboratory is the result of a strategic partnership between Ulster University Business School, the CME Group Foundation and Invest Northern Ireland. The CME Group Foundation is the charitable arm of the Chicago Mercantile Exchange (CME). Real-time data on every market, unparalleled news and research and powerful analytics. 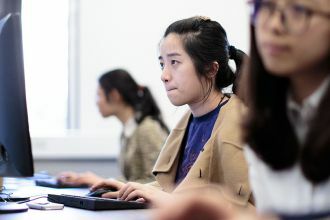 Students benefit from access to the industry-leading Bloomberg Professional service. 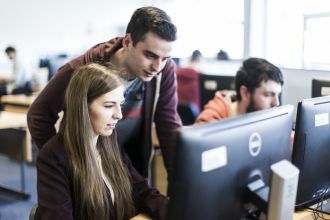 View our current undergraduate and postgraduate study opportunties. 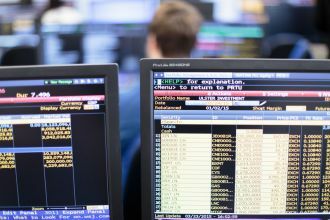 A growing and active society with the aim of educating its members on trading and investing. Thanks to CME Group Foundation, the charitable arm of the Chicago Mercantile Exchange (CME). Information on lab availability and booking options. 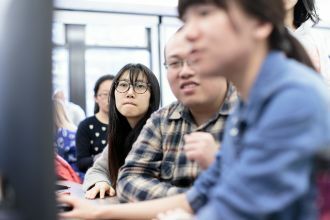 Latest news from the CME Group Foundation Financial Innovation Laboratory. Get in touch with the CME Laboratory at Ulster University.